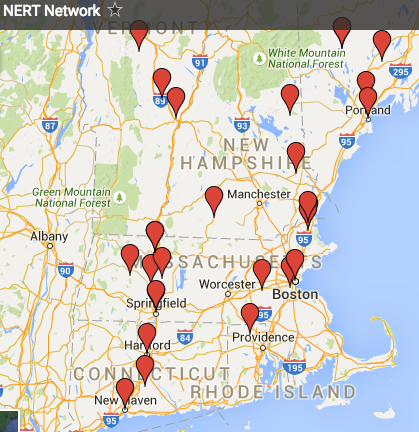 Across New England, a new world is being built. Grassroots activists motivated by their love for community and the planet are building resilient local communities, resisting fossil fuel projects, and making sure that all people can thrive now and into the future, regardless of race, class, income and more. On June 11 join a convergence of regional and local actors building this new world. 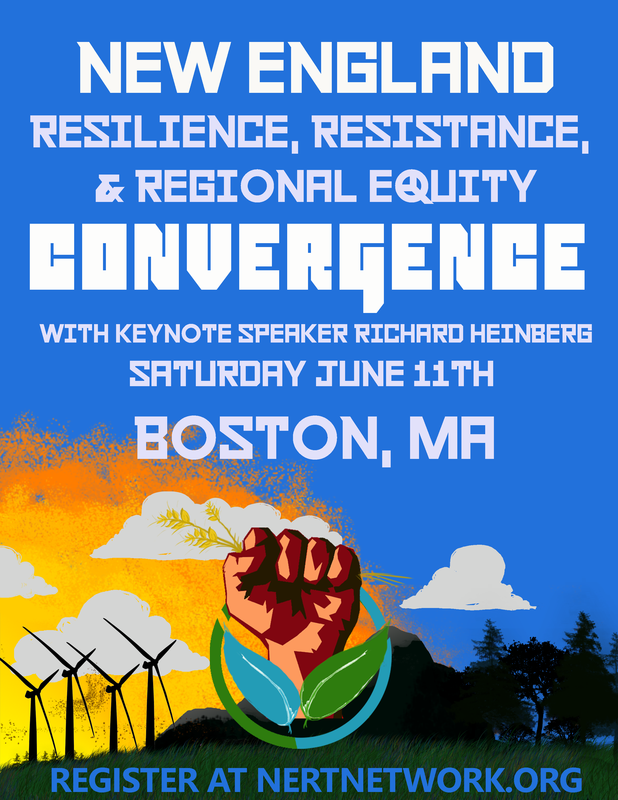 You’ll connect with great people, hear stories and lessons to strengthen your work, help build the New England Resilience & Transition network, and get inspired! The morning will include a keynote address and responses from members of the New England Resilience & Transition Network. In the afternoon we will have lunch, workshops and network-building sessions. Click here for the Agenda and Workshop Descriptions. 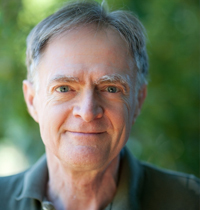 Richard Heinberg is Senior Fellow-in-Residence of the Post Carbon Institute and is widely regarded as one of the world’s foremost Peak Oil educators. He has authored scores of essays and articles and twelve books. Since 2002, Richard has delivered over five hundred lectures to a wide variety of audiences in 14 countries—from insurance executives to peace activists, from local officials to members of the European Parliament. He has been quoted and interviewed countless times for print, television, and radio. Richard has appeared in many film and television documentaries, including Leonardo DiCaprio’s 11th Hour, is a recipient of the M. King Hubbert Award for Excellence in Energy Education, and in 2012 was appointed to His Majesty the King of Bhutan’s International Expert Working Group for the New Development Paradigm initiative. Richard’s animations Don’t Worry, Drive On, Who Killed Economic Growth? and 300 Years of Fossil Fuels in 300 Minutes (winner of a YouTubes’s DoGooder Video of the Year Award) have been viewed by more than 1.5 million people. Wow!! This looks like a powerful event. I’ve never been part of anything like this before. Thank you!